This week our challenge at There She Goes is brought to us by our Trendsetter of the week, Sandra! 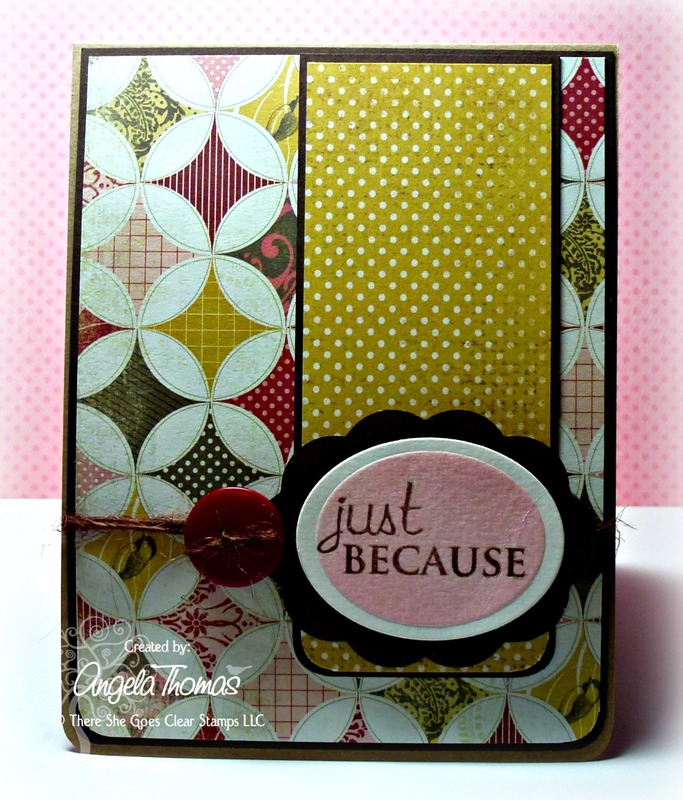 She is challenging YOU to make a card or project using a sentiment as the main focus of your card!! My mojo has taken a break... yikes!!! My summer has been incredibly crazy and today was the first time I've had to sit down at my craft desk in almost two weeks... Crazy eh? I saw this layout sometime in the last few weeks (I can't remember where) and knew it would be perfect for this week's challenge. I kept the card incredible simple to highlight the sentiment from the TSG set "Everyday Greetings". To be eligible for the giveaway, create a card or project using this week’s challenge and then come back to the TSG Blog to add your name and a link to your project in the InLinkz that is located at the bottom of this challenge post. This challenge is open until the winner has been announced on the following Monday (August 13th). The winner will get a $5 gift certificate to use in the TSG Web store!